At the core of Nurture is a strong team comprised of accomplished Master and Senior Stylists and Estheticians who tailor their craft to the individual needs of hair and skin because they understand that fundamentally everyone is unique. Personal grooming doesn’t end with your visit. You’ll leave our salon with great ideas, professional products, and expert tips to maintain your look at home. Susan Devlin, owner of Nurture Salon and Spa had an unorthodox aspiration as a small child. While other girls preoccupied their minds with future dream weddings, Susan’s entrepreneurial spirit had her captivated by the idea of one day owning her own business. Even in her youth, she knew the key to success would be to align her childhood ambition with her fervent personal philosophy; that every person is beautiful, and deserves to feel as beautiful as they are. Having always had a passion for hair and nurturing self-confidence in others, Susan decided to devote her energy to the salon industry. After honing her skills for ten years, Susan became an independent stylist, whose popularity quickly grew to expand her clientele and in 2001, she realized her childhood dream. On the corner of L and Sixth in South Boston, Susan opened a humble, sole operational, two-chair salon appropriately named Nurture. But by 2009, that small salon spawned from a little girl’s dream would expand to become a 10-chair Salon and Spa, now employing 25 talented stylists/artists who all share in Susan’s vision; to enhance the beauty of every individual who is welcomed through the door. Susan has now been in the industry for over 25 years and still feels incredibly blessed to employ and service the most amazing stylists and clientele she now considers friends, and to continue to support and cherish the community she calls home. Throughout the years Susan’s generous nature has transcended from enhancing looks to enriching lives by making countless donations to support various charities both locally and beyond. But in her most recent endeavor and proudest accomplishment, Susan has been named Chairman on the Board of Directors to The Phoenix House, a non-profit organization providing emergency shelter and rehousing services for mothers and their children. In addition, Nurture Salon will be donating time and services to Phoenix House members preparing for job interviews, bringing Susan’s childhood dream full circle in inspiring positive change. Lisa Walsh (manager, master stylist/colorist) started her career as a stylist in 2000 and her passion for hair has been growing ever since. Manager at Nurture Salon, she encourages her team to keep up with their education and to pursue their passion for hair. She is Keratin certified and has vast experience with many color and product lines. Lisa loves exploring all of the latest trends in color and cutting. She is master of bridal up styles and really enjoys working with wedding parties! Katie Queen (senior stylist/colorist) has been in the beauty industry for 13 years and a licensed cosmetologist for over 10 years. She is highly trained in Wella and Kemon color with extensive in depth training in color and cutting techniques along with both bonded and tape-in hair extensions. Katie specializes in balayage coloring and is very versatile in her coloring techniques. Understanding the importance of being a consultant for her clients, she listens carefully and provides styles that match her client's lifestyle. It's critical to Katie that her clients leave the salon feeling happy and able to wear their hair with confidence. Katie has a fun and upbeat personality and is always up for a challenge. Emily Martindale (stylist/colorist) completed her business degree from Quinnipiac University in 2008 and decided to change careers in order to follow her life long passion in cosmetology. Emily is Toni and Guy educated and finds inspiration from having lived in many different cities throughout the U.S. This enables her to produce beautiful, unique coloring techniques, specializing in balayage and foiling. Her contagious laughter and fun personality instantly puts clients at ease and accounts for her loyal clientele. She is also certified in different forms of extensions and prides herself on creating a natural, flawless look. She is certified in many color lines including Wella, Kemon, Pravana and Joico. 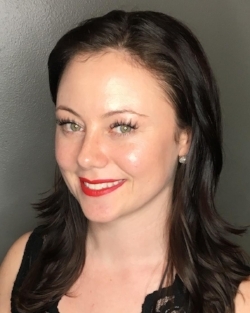 Erin Mullen (stylist/colorist) returned to the East coast to pursue her passion in cosmetology after attaining her business degree in Denver, CO. She attending Toni & Guy academy in Braintree, MA and started working at Nurture Salon soon after. She is Keratin certified, has advanced education in Wella color as well as Tigi and has experience with both tape-in and bonded keratin hair extensions. In addition to hair, Erin is also a trained make-up artist, working previously with Sephora. She specializes in keeping the hair natural and adores working with blondes. Her easy going personality and desire to please will leave you looking and feeling your best! Check out Erin's Instagram page here! Jessica Pelletier (stylist/colorist) creates magic behind her chair and takes her inspiration from current fashion trends. She takes the time to listen and understand her clients’ needs in order to achieve the perfect look. Licensed for over 11 years, she has worked with many artists, perfecting the techniques of precision and free style cutting. Her precise men’s cuts have also created quite the following. Certified in multiple color lines, maintaining healthy hair is a priority for Jessica. She is excited to start her training as a Kemon color educator. She is trained in both bonded and tape in extensions. Jessica believes in creating an experience, not just a service. Keeping a positive attitude makes her a joy to be around. Myia Spinucci (master stylist/colorist) drive for her career is based solely around the look on her client’s faces when they see the finished product. Myia manipulates the hair to best suit the clients’ individual features (skin tone, face shape, eye color, etc.) to help generate a one-of-a-kind look. Myia has extensive experience with in-salon and on-site weddings due to working for the Boston Wedding Group for over 4 years. Myia first began her career in her home town of Vermont in 2008. After moving to Boston to further explore her career, she spent 3 years on Newbury Street and has been with Nurture Salon Spa since 2013. Myia is certified in Goldwell, Redken, Keratin straightening system and Wella color. Neri Guri (master stylist/colorist) has been a stylist and a colorist since 2002. Neri graduated from hairdressing school in Greece and traveled throughout Europe where she gained the experience and the talent to change people's lives. She draws inspiration from fashion, art and textiles to create thoughtful styles that are both playful and chic. Neri has an artistic vision with impeccable attention to detail and really enjoys working closely with her clients. She strongly believes in continuing education to further her knowledge of her craft. Neri is certified in Redken, Wella, Keratin and Goldwell along with the latest color trends, including triflective looks done with the Balayage technique. Mary Lennon (stylist/colorist) attended Cosmetology school at Toni & Guy in Braintree. Before joining Nurture Salon she worked at Inspiration Salon and Spa in West Roxbury, has advanced education in Goldwell & TIGI, and is Keratin Certified. Helping to make someone feel great about themselves is Mary’s passion, with some of my favorite services to perform being balayage and highlights. Along with being behind the chair she’s pursing a love for fashion and will be completing her degree for Fashion Merchandising at SNHU, where inspiration for hair from the latest trends and from the fashion world. When it comes to blondes, balayages or fashion trend hair Nikki loves to create and use hair as her canvas for artistic and beautiful blends. Giving my clients fresh and beautiful styles is what really puts a smile on my face and makes being a hair stylist so worth it. Nikki is trained in Wella color, Paul Mitchell color, and Kemon color. Certified in keratin and tape in extensions. Nikki also specializes in special effects makeup. Nikki resides in South Boston with her two fur babies Brady and Giselle. Meredith Jefferson (stylist/colorist) has been a licensed cosmetologist since 2009. Over the years she has done extensive training with great stylists, educators and companies throughout New England, New York and Chicago. She is always staying current and creative by focusing on her education. She loves to make her clients feel beautiful and confident and ensures they always leave with tips to make their at home styling a breeze. Christine Catanese (lead esthetician) has close to 10 years experience. She joined our team in 2012 from Elizabeth Grady Salon, South Boston, where she started her career. She enjoys customizing facials and peels to each client's specific needs and helping them develop a healthy skin regime that fits their lifestyle. Christine is an expert waxer known for her speed and efficiency, especially with Brazilian waxing, making them as pain free as possible. Her calming presence will help you destress and relax no matter what service you are seeing her for. Certified in Dermalogica and Image Skincare. Services include facials, peels, facial and body waxing, brow and lash tinting and lash lifting (curling). Christine is at Nurture Wednesday through Saturday. Colleen Shea (esthetician) is a graduate of Elizabeth Grady School of Esthetics. As a former cosmetologist she has a long history and passion for for the beauty industry. Colleen is certified in Dermalogica and Image skincare. She is also certified in microdermabrasion, chemical peels, lash/brow tinting, lash extensions, spray tan, body waxing as well as Reiki certified. She has a love for skincare and targeting a client’s individual needs. Together with each client, she can design an individual regime both in the spa and at home for maximum results. She thoroughly enjoys performing relaxing, rejuvenating and peaceful facials as well as precise and particular brow shaping. Whether it be skincare or waxing she is here to help you reach your individual beauty goals. Colleen is here Monday through Wednesday and Saturdays.